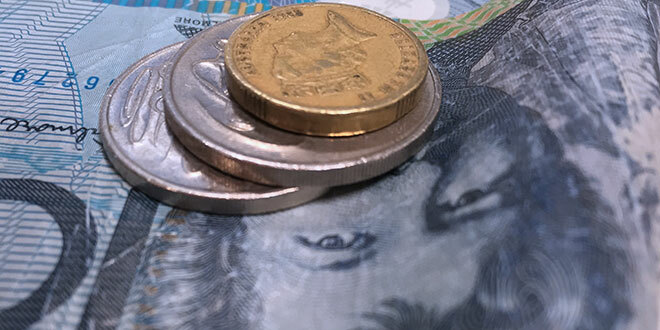 FAIRNESS, opportunity and security for Australians was the catchphrase in yesterday’s Federal Government budget announcement, but not everyone is convinced. The Catholic Leader journalist Mark Bowling has analysed the key issues that could concern Catholics around the country and the responses from Australian Catholic agencies and charities. Federal Treasurer Scott Morrison has hit the big five banks with a $6.2 billion tax, and the Medicare levy will rise to help return the Australian budget to surplus. Mr Morrison argues these are the key pillars of a “fair economic plan”, but critics are lining up amidst reshaped policy which will bruise Catholic schools, and the 2017-18 federal budget has piqued Catholics concerns for the welfare sector and foreign aid. The rising cost of higher education, housing affordability and jobs remain key concerns for young people. And at the big end of town the banks aren’t happy with the budget. Head of the Australian Bankers Association Anna Bligh has condemned the new banking tax as “bad policy”. Major spending on infrastructure and the guaranteed future of Medicare are also part of the government plan, including a spend of $8.4 billion on a Melbourne-Brisbane inland rail freight link. Caritas Australia has expressed deep disappointment with a fourth consecutive year of budget cuts to the overseas aid program signalling a “shift to an insular Australia”. Consider the scale of humanitarian crises: more than 20 million people face starvation in East Africa and Yemen and tens of thousands of people are fleeing war and persecution in Syria. Welfare payments are being consolidated and some new welfare recipients will be subject to random drug testing. People deemed to be at risk of substance abuse will be required to undertake random saliva, urine or hair follicle tests for drugs in a test program to start next year. Jobseekers who test positive to drugs will have their payments quarantined. Newstart and sickness allowance recipients will be moved to the new JobSeeker Payment, which pays the same amount. Jobseekers aged up to 49 will have to undertake 50 hours of approved activity a fortnight. Dr Falzon said the budget delivered poor support for those locked out of the job market. “There is only one job for every 10 people looking for work or more work,” Dr Falzon said. “One in three young people are unemployed or underemployed. “We have a Newstart payment that has not seen an increase in real terms since 1994. And yet the Government is attempting to make an art-form out of cruelty to young unemployed people. Means forcing them to rely on charity. The Government’s $18.6 billion school funding boost has already sparked controversy because of its likely impact on Catholic schools. It’s unclear exactly how the “needs-based” Gonski 2.0 model will roll out over the next decade, but there are loud calls from the Catholic education sector in some states that it could result in higher school fees, forcing many parents to look at pulling their children out, and could force some schools to close. While Government schools are expected to get a 95 per cent funding increase over a decade, this falls to 75 per cent for independent schools and 54 per cent for Catholic schools. Former prime minister Tony Abbott and former defence minister Kevin Andrews have used a Coalition party room meeting to put Prime Minister Malcolm Turnbull on notice that the existing Catholic school funding model will not go down without a fight. Survivors of child sexual abuse will get compensation after the Turnbull Government committed initial funding in the budget of $33.4 million to set up a national scheme to be operating by mid-2018. Part of the funding will go towards setting up IT services, an online presence and a direct hotline for victims to inquire about how they can apply for payments. Those information services should be operating from March, 2018. Survivors of child sexual abuse in Commonwealth institutions will be able to apply for redress from July next year. The scheme will initially cover about 3000 abuse victims from Commonwealth organisations such as Defence, Immigration and Indigenous Affairs. The commitment follows the Royal Commission into Institutional Responses to Child Sexual Abuse which heard evidence from thousands of victims. The Medicare levy will rise to 2.5 per cent for every Australian earning more than $21,655, an increase of 0.5 per cent. The increase is expected to raise $8.2 billion over four years, and will take effect from July 1, 2019. The levy will pay for the National Disability Insurance Scheme and will cost a single person on $50,000 about $250 a year. A couple earning $100,000 with one dependent child will pay $300 extra. The low-income threshold for the Medicare levy will be increased to take inflation into account and will kick in at $21,655 for singles. The family threshold will be increased to $36,541 plus $3356 for each dependent child and student. Single seniors and pensioners will have an increased threshold of $34,244 and the family threshold for seniors and pensioners will be $47,760. Parents who don’t vaccinate their children will lose about $28 per child per fortnight. The money will be withheld from the Family Tax Benefit Part A. the Government expects to withhold about $66 million. The budget includes $381 million in funding for homelessness services through to 2019-20, which is a major commitment to the sector as homelessness continues to rise.